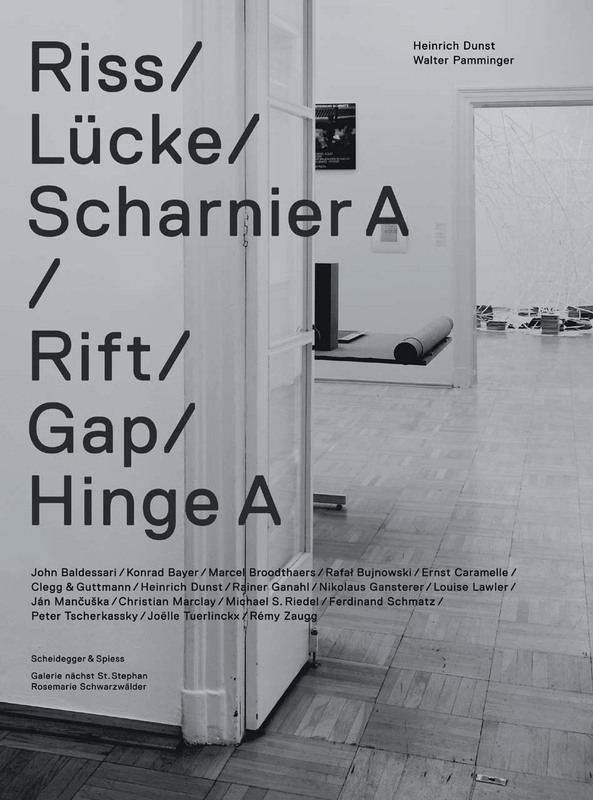 Rift / Gap / Hinge A documents an internationally recognized exhibition that appeared in 2006 and 2007 at the Galerie nächst St. Stephan Rosemarie Schwarzwälder in Vienna, one of Europe’s most eminent venues for contemporary art.Curated by the Austrian artist Heinrich Dunst, Rift / Gap / Hinge A collected works that explore the difference between the visible and the expressible and trace the illuminating relation between visual art, film, and literature. This catalog features works from artists worldwide, including American-born artists John Baldessari, Louise Lawler, and Christian Marclay. Comprising seventy photographs of the artworks and the exhibition, as well as detailed descriptions of the pieces on display and an introductory essay, this book creates a lively panorama of American and European contemporary art.